Sunday, March 8, 2012, 6:26 a.m. This photo brings back so many good memories of early mornings in the Southwest & California. My family vacationed there often growing up. A beautiful shot. Thanks for sharing! Thanks, Amy, have a great day! beautiful pic…but also punny? sunrise on easter = sonrise ? Hmmm … that didn’t occur to me … but now makes me wince: It reminds me of the guitar-playing, drama class, self-proclaimed, “Jesus Freaks” of my high school days … they were famous for their Son puns! 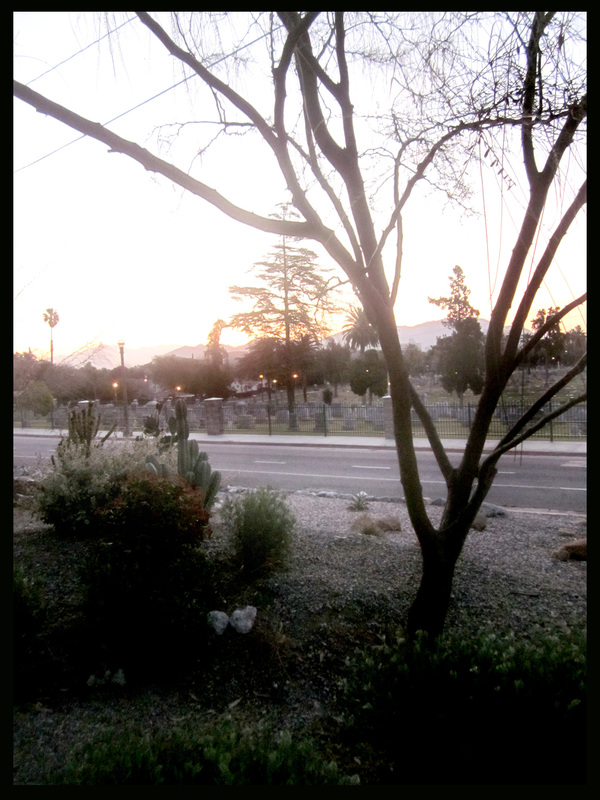 Ah, early morning in my favorite cemetary. When friends lived on El Dorado we used to wander both early and late. My favorite was always in the fog. Such fun memories.